Community members everywhere are mourning the loss of transgender activist and religious leader Bobbie Jean Baker. Baker, 49, tragically died in a car crash on New Year’s Day. A staunch advocate and role model, Baker worked with trans women overcoming substance abuse, homelessness and more. The Memphis native moved to the Bay Area in 1992 and later became an ordained minister at the City of Refuge United Church of Christ in San Francisco. She was the lead singer in the transgender group Transcendence Gospel Choir for a decade and was returning from a nighttime service when the crash happened. The unfortunate incident is currently under investigation. The ELIXHER team had the honor of meeting Bobbie Jean Baker at the 2012 TransSaints in Color Conference in Charlotte, NC. W e are extremely saddened by this news. A ceremony was held in Baker’s honor Saturday, January 11 at 1 p.m. at the First Congregational Church of Oakland, at 2501 Harrison Street. In September, our dear sister Melenie Mahinamalamalama Eleneke passed away in her home in Daly City at the age of 53. 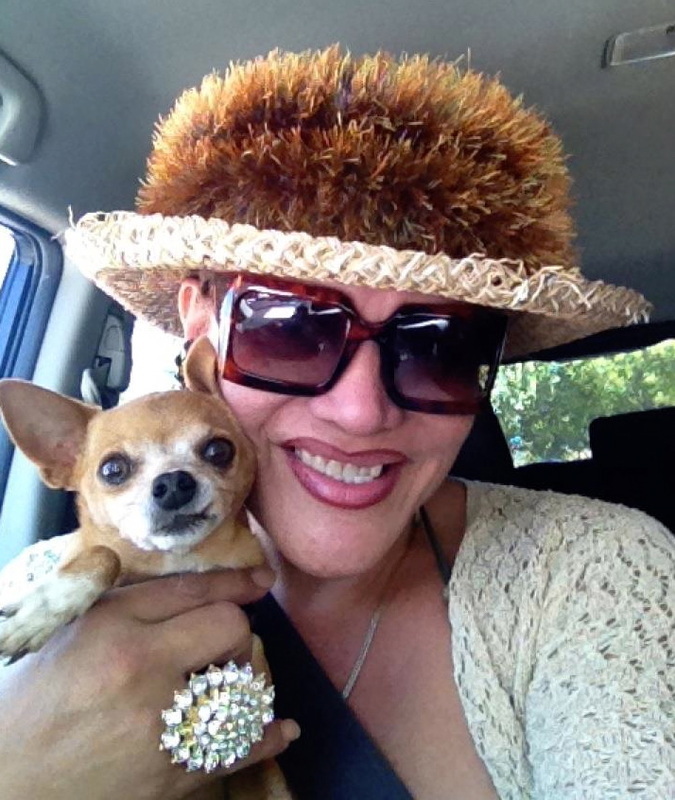 Melenie was born on Oʻahu, Hawaii on December 25th, 1959. Her nephew Tamalani Auvaʻa, with whom Melenie had been living for the last three years, shared that at age 14, Melenie bravely transitioned and demonstrated the courage and passion that she would carry front and center for the rest of her life. She was beloved by a vast network of family, friends, and colleagues, and her loss has been felt my many. 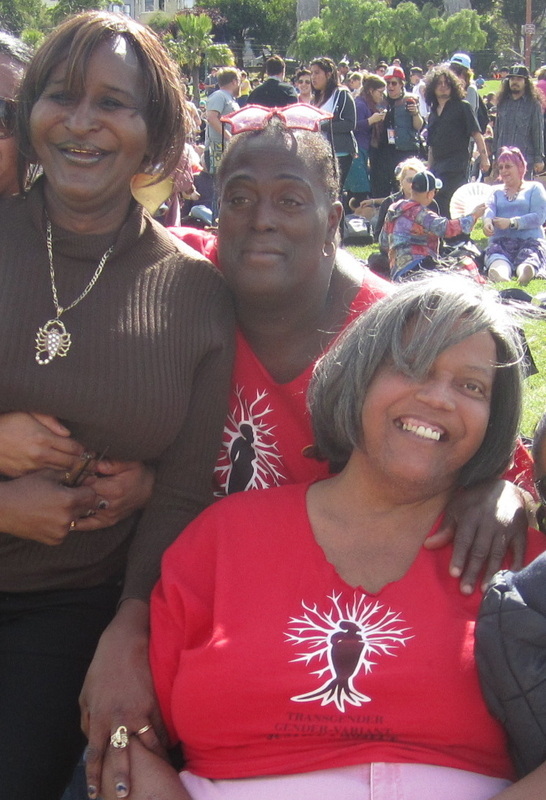 Melenie joined TGIJP (then called the Trans/Gender Variant in Prison Committee) in 2004, and, until her passing in 2013, played almost every role in the organization—she visited trans people at California Medical Facility (CMF) in Vacaville and other prisons; she wrote letters with and organized letter-writing events for imprisoned trans people in California and throughout the country; she organized planning and empowerment retreats for our members; she brought delicious food to our weekly meetings; she offered workshops on spiritual healing to trans people coming out of prison and jail; she represented the organization at protests and coalition meetings; she wrote grants and organized fundraisers and asked people for donations; she updated our database; she helped the organization move between two spots Market Street and then to 9th Street and then over the bridge to 46th Avenue in Oakland; she edited and wrote for our annual newsletter, Stiletto, and sent it into prisons; she flew to Geneva, Switzerland in 2008 to testify with Miss Major in front of the United Nations about the human rights abuses of transgender women of color (of course clad in her white knee high boots, long gloves and faux fur coat to keep her stylish and warm); and so much more, both out-in-front and behind-the-scenes. 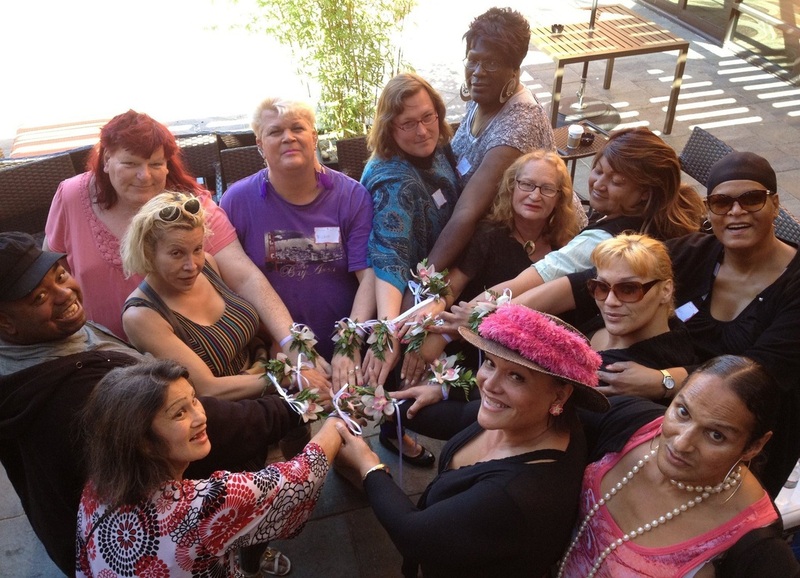 Melenie shares a Transgender Spirituality workshop and ritual at TGIJP's 2012 empowerment retreat. During the celebrations of her life following her passing, we were moved to see just how many people and groups held Melenie as dear as we did. She was “Auntie Mel” to countless people in LGBT, Pacific Islander, and social justice communities—in addition to TGIJP, Melenie was an active member of The Ladies of Keolalaulani Halau and the House of Valenciaga, a founder of a transgender women of color hula group, and a long-time leader in the Asian & Pacific Islander Wellness Center, among other groups. A lifelong spiritual healer, Melenie was a fierce advocate for the preservation of the culture, language and spiritual practices of the Hawaiian people, and brought this commitment to all parts of her life. The many celebrations of her life were filled with laughter, dancing, food, and memories of time spent together. TGIJP works to break the chains that keep transgender women of color—and all people—trapped by prison, jail, detention, police, racism, and poverty. As our mission states, we are creating “a united family in the struggle for survival and freedom.” Melenie embodied this vision and commitment in her bones: She believed in people. She believed that, whoever you are, your life is worth fighting for. Although our hearts are heavy with the grief of losing such a dear sister and friend, we are grateful to count ourselves among the lucky recipients of her bright light, unconditional love, and generous spirit. Melenie, we honor you. Thank you for blessing us with your life. In your memory we continue the struggle for survival, self-determination, and freedom.